Martina Is Psychic Medium/Angelic Healer and Spiritual Healer Martina lives in Cork area teaching a range of holistic courses in Ireland and the UK. Martina has worked with teaching children and adults helping them to turn their lives around for the better. Some of the courses Martina provides are healing Courses on People and Pets, Self Confidence, Manifestation, Self Development, Psychic Circle, You as a medium and many more. Martina first became involved with teaching courses 7 years ago when a loved one of her’s passed away. As part of the class, she was taught how to do hands-on healing called I.E.T (Integrated Energy Therapy). 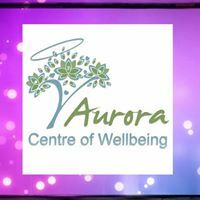 Not only did Martina find it helped with her bereavement process she found it also brought up emotions and situations that she had undergone in the past which needed to be healed. In doing so, both Martina and her Mother started to feel more happiness and peace enter into their lives. Martina after seeing the benefits it had on her own life decided to Train in I.E.T herself and went on become a Master Instructor. Through her own difficult times and experiences, Martina has overcome these through the use of using I.E.T on herself and the trust and help of her Angels. It made Martina realise that if she could use the techniques given to her and change your own life that others could too. It became Martina’s drive and passion to want to help others to change their own lives and to know that no matter what they may be going through they will never be alone.